Page of "Biased by Style & No Style". As a Karate Ka in search of the depths of Budo we naturally cross the paths of the other Martial Arts that have risen from Japan. Be this to seek further knowledge or guidance specifically or merely just as an observer our Budo paths will most certainly cross. Generically speaking of the other Arts, be it Judo, Ju Jutsu, Kendo or Aikido we rarely think of them or speak in terms of style… Yes, maybe a teachers lineage or specific back ground is spoken of but that’s a different thing all together. We tend to think of say Aikido as Aikido not in terms of styles. However, with Karate these days it either seems to be all about the style that one practises, or Karate Ka going on about having no style or system at all, when in reality just like when we look at the other Arts our focus and basis of training should be on the teacher and the quality of training or teachings that we are studying and is taking place within the Dojo. “We must not pass on our own modified form if we can help it”. – “Feelings for the Kata had been changed from the ones handed down, So the situation is that Shito-Ryu people do our Kata, but it cannot be said to be Goju-Ryu”. 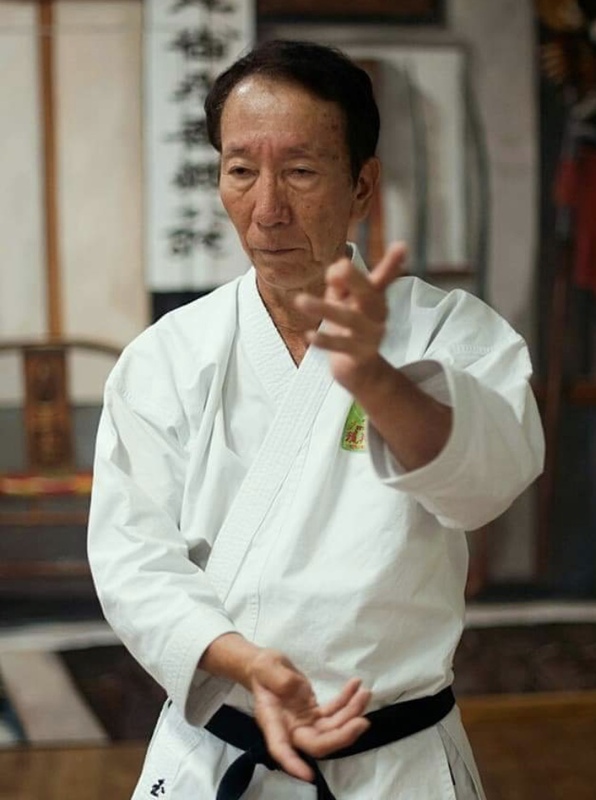 Miyazato Eichi Sensei in Budo Masters by Michael Clarke. To say that one does say Shotokan, Goju Ryu, Wado Ryu or Shorin Ryu really is totally irrelevant if the quality of training is poor or we are not training regularly, and even if it is good, to get to wrapped up in the style with a closed mind will result in losing sight of a possible deeper understanding. “Good Karate is Good Karate”! As broad as this may seem it is true and the basis that we must all work from regardless of differences, it’s just like a good person is a good person regardless of race creed or religious beliefs. In many ways styles or Ryu Ha are born from the training practises or experiences of an individual. The basis of my personal training these days is Okinawa Goju-Ryu, and there are some good teachers out there to study from for sure, but on the contrary there is also a lot of poor stuff being taught under the Goju banner too, as in most cases it’s either to hard, as in firm but not flowing or it just lacks understanding. The father of a student of mine is a former Dan grade student of the London Dojo of the late and renowned Enoeda Sensei of the Shotokan way. Through the conversations that we’ve had it is clear that the Shotokan training he remembers of old and that he believes in, is unrecognisable to that he can now witness locally, with disbelief that they are actually practising the same Shotokan that he once trained in. My answer is always the same, “It’s not the style”! Shotokan is good, very good in fact! There are though those who practise a watered down version that lacks understanding and basis. However, there are still some dam good Shotokan Sensei and Dojo’s still out there for those who take the time to seek them out. And yes this can be said for all styles. The no style concept I can see, but the problem is when Karate Ka hide behind this concept because they have no real understanding or basis of anything. Like I say it’s not the style that you’re training in that is most important but the training environment and basis of your Karate training itself. I honestly feel that if you haven’t deeply studied and trained hard in a Ryu for at least 10 years under a Sensei of worth, then you will have little true knowledge of it as a foundation, and I’m speaking of in Dojo training here not talking and teaching, even 10 years is questionable. In the West we tend to think that the guy who travels all over the world with photos taken alongside many famous teachers, be it in Japan, Okinawa, China or wherever. Is then the guy with the true understanding with all of the knowledge and answers? Utter Rubbish! You can go and do this yourself for the next 20 years and attend all of the big seminars too. But, sadly you won’t learn as much as you think about Karate at all regardless of the spin that some put on it. Take my advice and go out and seek a Karate Sensei of worth and maybe a Kobudo one too, and in time they will let you in to their family and the true teachings of the Art will be understood and be revealed without any need for thoughts on style or no style. So, if you’ve got no style, then where and what is your Karate basis? Or has it all been made up on a boat? Or maybe you think that your Karate is more superior just because of the style name that is tagged to it!? Then you really do need to go away and rethink things through…. If on my travels I find myself back up in the Midlands of England there will be a Karate Sensei who is mature in years who I will quietly seek out for guidance. I will wear the white belt but I am higher graded than he is, I even have quite a few more years’ experience in the Martial Arts than he has, and I have travelled the shores of Okinawa when he hasn’t, and I also have an understanding of much in Karate that he hasn’t witnessed too. Plus, he is relatively unknown to others as he prefers to just quietly practise and teach the Wado Ryu style of Karate without any fuss or attention. Now go and work that one out….